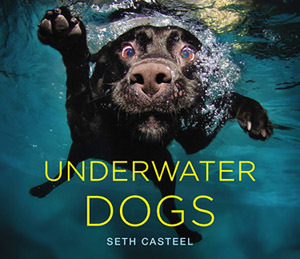 Win A Copy Of "Underwater Dogs" By Seth Casteel! Oh, do we love Underwater Dogs by award-winning photographer and animal rights activist, Seth Casteel. And we're so excited to be able to give a hardcover copy to one lucky reader! Please see the details at the end of this post to enter. Note: we've tweaked the requirements so now it's even easier to enter! First, is this a great idea, or what? 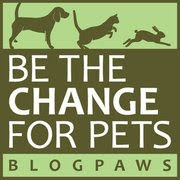 We know more than a few pet photographers are kicking themselves-who wouldn't want to hit an untapped niche and generate a New York Times runaway bestseller? And in the book's introduction, Casteel reveals how he happened upon this idea and then just ran (or should we say "swam") with it. And as with all great works of art, it teaches us something about ourselves: "Underwater, dogs show vividly what retrieving means to them...[and] they teach us that if you just jump in, you might have fun along the way." The book showcases more than 80 portraits of dogs of varying ages and breeds that have taken the plunge-after a ball, ring, or perhaps something invisible that draws them under the water, wide-eyed and mouths usually wide open and straining toward a prize. What it shows us, quite literally, is a side of dogs we've not seen before. Although canines have been happily domesticated for thousands of years, Casteel says that "...they also have a primitive side, and they jump at the chance to get in touch with their wild instincts", which are on full display in each of these portraits. Underwater Dogs has been called "visually sumptuous" and "a great coffee table book", but we don't recommend that you leave it all alone on the living room coffee table for very long-it's a book that you'll love to open over and over to lift your spirits and remind you why you share your home with a dog. Now on to the giveaway of one copy of Underwater Dogs! This giveaway will run from today,Monday February 4, through Saturday February 16, 2013 at 8:00 pm EST, so you and all of your friends have plenty of time to enter! The one winner will be chosen by computerized random drawing and announced on the evening of February 16. We love the book cover! What a supercool photo! 3) and really like that we only post one comment for all of the requirements!! 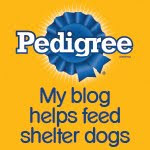 My comment is that I love reading dog books and would love to read this on!! I'm the Anonymous above from 02/09/13--I did sign it Amy B in WI because I couldn't figure out how to get it to work. Wanted to try again so you would know who I am. I don't have any of these accounts; I have yahoo & FB but I can't sign in using those. My email is motorbuzz AT idcnet DOT com. I already liked you and Bocci!